Welcome to Lorimer Street in Port Melbourne. 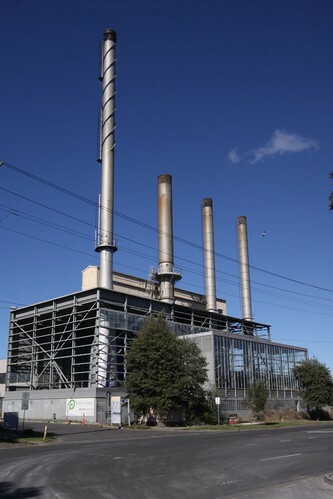 Located in a suburb better known for expensive waterfront property, it is often forgotten that this area is full of industrial plants belonging to the likes of Boeing, the DSTO, Herald and Weekly Times, Kraft, and GM Holden. The last company is the topic for today. 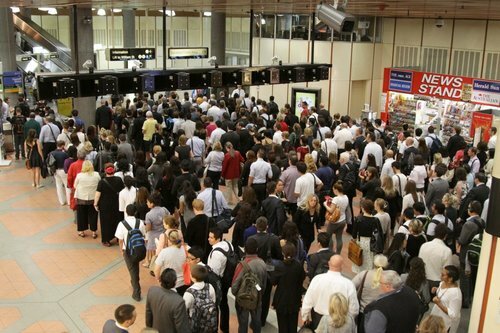 Passenger congestion at Melbourne’s railway stations isn’t a new thing, but the intensity of it is – since 2004/05 patronage growth has trended upwards, with 227.1 million passengers carried on Melbourne rail network in the 12 months ending September 2011. So where do all of these people end up once they wiggle their way out of packed trains? Stuck in lines to exit the station, that’s where! 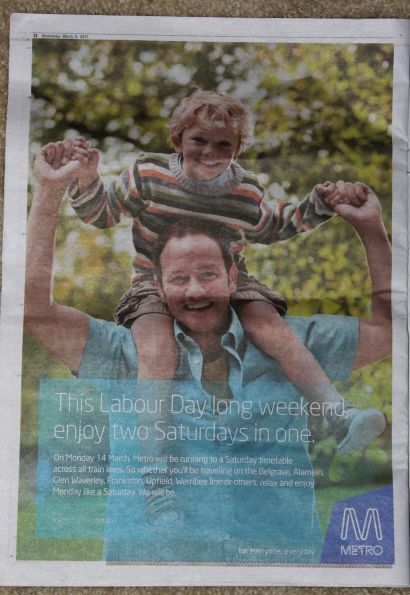 In the lead up to public holidays, Metro Trains Melbourne usually runs full page advertisements in the mX newspaper so that regular rail travellers will be informed of Saturday timetable being in operation, the wording of such leads to a number of smart alec responses.